Before I recommend any product and/or service, I ask questions and get a clear understanding of your circumstances and financial objectives. I then analyze your insurance and investment* portfolios to identify any gaps that may exist. I will provide you with suggestions to fill in the gaps or to help you reach your objectives more efficiently. If my recommendations make sense to you, I will work with you to implement them and help you secure the required products and services. Because your financial situation is bound to change, I will work with you over time through periodic reviews to help you monitor your strategy and its ability to continue to meet your goals. 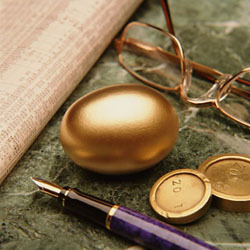 A Financial Services Professional can help you with many of your financial needs. It is important to note that Financial Service Professionals are only able to provide certain services if they are licensed to do so. *Securities offered through Registered Representatives of MML Investors Services, LLC., member SIPC.